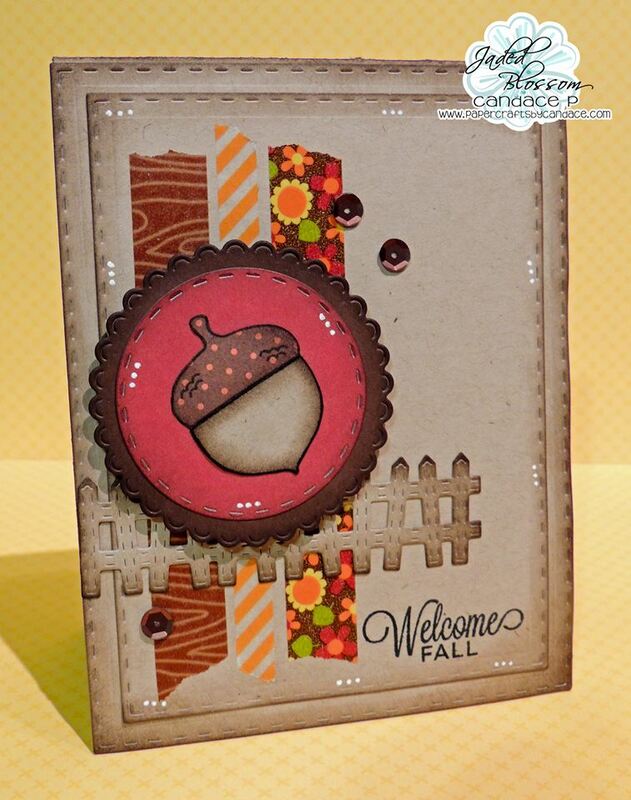 Paper Crafts by Candace: Jaded Blossom Stamp Release day 4: Happy Fall! 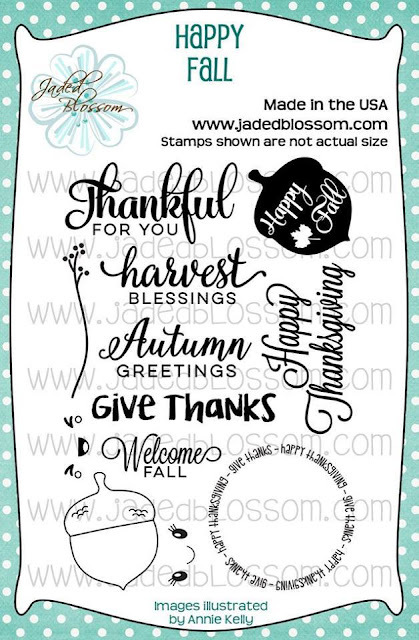 Jaded Blossom Stamp Release day 4: Happy Fall! Happy Thursday! Today is day 4 for Jaded Blossoms September Stamp Release! Today we are revealing one new stamp set! I paper pieced and inked the acorn :) Its so cute! Thanks to much for checking out my project today! Make sure to head over to Jaded Blossom to see what the rest of the team created. Oh goodness--- I am so in love! These colors are perfect and I love the kraft on kraft! Jaded Blossom Mini Die Release Blog Hop! Jaded Blossom Stamp Release day 3: Nutty! Jaded Blossom Stamp Release day 2, Science!